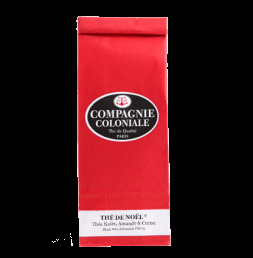 Hiver Austral® is the newly born blend which completes Compagnie Coloniale Christmas Collection. Originally from Austral Africa, this rooïbos is flavoured with red fruit and mandarin, a perfect after dinner hot drink. Ce thé est bon, mais je préfère les goûts griottes. Une découverte je ne regrette pas mon achat.